Writer Jim Zub welcomes the ‘Wayward’ art team of Steven Cummings and Tamra Bonvillain to the series. At New York Comic Con, Champions and Wayward writer Jim Zub was on hand to announce two new projects — including a relaunch of Marvel’s “teens saving the world” team The Champions. The comic will receive a new #1 in January, along with a new art team — one Zub knows well. He’ll be joined by Steven Cummings and Tamra Bonvillain, who he worked with on the Image series Wayward. Zub explained the reason for the reboot on his blog. Regular readers of the Champions will note some additions to the team on the cover. “Ms. Marvel is now the formal leader of the Champions and she’s decided that the team needs to make their mission bigger than ever,” Zub said. “She believes that since young people will inherit the world some day, they need to step up and make it a better place. Dozens of teen heroes around the globe have answered her call and the Champions are becoming a movement like no other. “On our first cover there are 11 characters, and inside that first issue there are 3 more who join them. 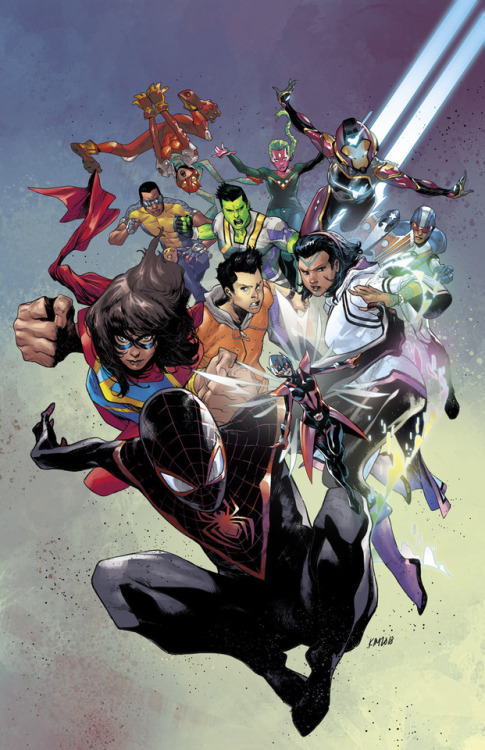 That means there are 14 heroes so far and more will appear in future issues.” He added that some A-list villains will take note of what the Champions are doing and come after them. The new first issue comes out in January.